The school holidays can be an ideal time to start creating memories that you – and your children – will treasure for years to come. 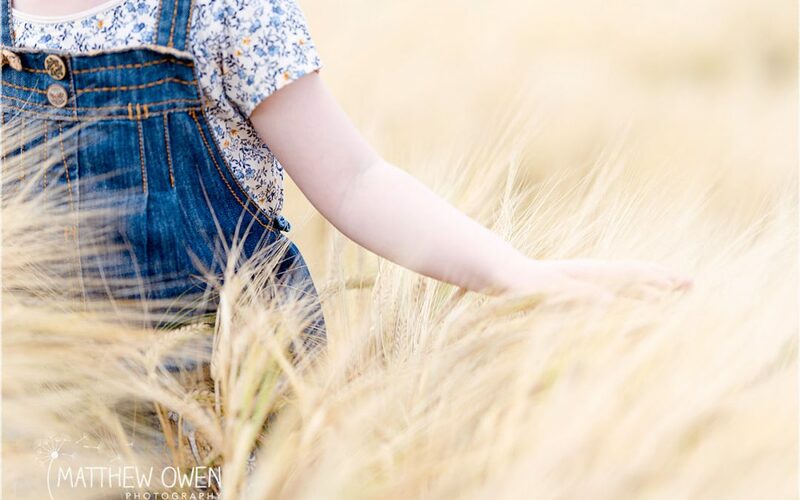 Whether it’s a beautiful summer’s day, a wet wash out in August, or you just want to share something new with your children, I’ve collated a list of ten things to do with your children to help create timeless summer memories. Shooting Stars and Marshmallows. Have a lazy day with the promise of a late bedtime. Choose a clear night and watch the sun set, toast marshmallows on skewers until they turn to sticky gloop on your garden BBQ and drink hot chocolate snuggled under blankets on sun loungers and garden chairs. Watch out for bats flitting around and then as your eyes adjust to the darkness, awarding extra marshmallows to the first spotting a star. Settle back and try to catch the one of the year’s best meteor showers: the Perseids, which reach the peak around August 12th – 13th. There’s an interesting video about spotting them on Newsround and also this week’s Sky at Night. Our daughter saw her first meteor shower in August 2015 and this year we’re hoping to introduce our son to this exciting night time event this week. Teddy Bear’s Picnic. Have a baking morning making mini fruit skewers, tiny sandwiches cut into stars and hearts with cookie cutters and make some mini muffins. Spread a pretty table cloth outside (on top of a picnic rug if the weather’s been a bit soggy) and choose a few cuddly toys to invite to the tea party. Sit your guests down with plates, and a tea set and enjoy your splendid spread. Hedgerow Forage and Bake. The blackberries seem to be ready earlier this summer so why not find an empty container or trug and go foraging for the best berries. Our favourite spot is an abandoned bridle path that provides a good haul most summers, as well as plenty of room for the children to tear about and let off steam. Being careful of the prickles, gather the best fruit then take it home for a feast. This year we will be using our blackberries to make scones with bramble jelly and clotted cream, and hopefully freezing some to make some comforting autumn fruit crumbles. I don’t think you can beat the smell of freshly baked scones after a lazy afternoon of berry foraging. Delicious! Indoor Den and Film Show. Create a cosy indoor den on a rainy afternoon using an old blanket or bed sheet and prop it up using the backs of dining room chairs, broom handles, mops or whatever else you and your children can devise. When the den is complete, fill it with comfortable beanbags and cushions ready for some luxurious viewing. Watch a short cartoon as a warm up then break for an interval. Make a huge mixing bowl full of popcorn in a lidded saucepan and shake some salt or cinnamon on top as flavouring. Choose a lesser known Disney film to watch, or introduce children to one of your old favourites. Relax and enjoy. Go Pond-dipping. Summer is the perfect time to grab a fishing net, don a pair of wellies and explore a local stream. It’s a good idea to find a white container (empty icecream tubs are perfect) to use to examine your catch. Help your little ones stand in the shallows and drag a fishing net in a figure of eight motion under rocks in the moving water. Empty the net into the white container and see what you have caught. Plenty of Woodland Trust sites offer this sort of activity if you don’t feel particularly outdoorsy, but it certainly takes me back to my childhood exploring streams and river beds looking for mini-beasts! We will be visiting Barlaston Downs for our pond-dipping adventure. Making Bubbles. We might hate cleaning our car, but in our experience children feel quite the opposite! With a bucket of soapy water, a sponge and a willing parent with a hosepipe; cleaning their bikes and scooters is a fantastic way to have fun, not to mention teach a little responsibility about taking care of our possessions. If you’re feeling brave they can even help you wash your car, too! Expect wet clothing and much squealing! Snuggle Up With a Good Read. Sunshine willing, it’s lovely to curl up with a favourite book in the sunshine, but if the wet weather prevails its a good idea to make a cosy corner somewhere in the house to spend some time enjoying reading quietly. Taking part in the Summer Reading Challenge at your local library is another great idea: 4 – 11 year olds are challenged with the task of reading six books during the course of the summer break collecting stickers and finally a medal, wristband and certificate on completion. Plenty of libraries nationwide are offering some fun activity sessions during the summer holidays too! Pirate Adventure. Why not collect together some ‘treasure’ to hide around a mysterious island (your back garden!) and create a pirate treasure map for the children to use to find the treasure? Good examples of treasure could be chocolate wrapped coins, small plastic toys, pretend gems, or even marbles. To make a realistic pirate treasure map use the brown paper middles from wrapping paper, tear the edges and stain with old teabags for an aged look. Children can make up their own pirate names too and then create a treasure hunt for the grown ups to complete. Arrrrrrrr! Make a Record of their Summer. Challenge your children to create their own memories by taking photographs or drawing things they see during the holidays to make a summer scrapbook. A disposable camera would be great for this, or they could use the camera on your phone. Children could record the games they play, their favourite toys, any funny things they see family members or pets getting up to, wildlife they have seen in the garden etc. These photographs, or drawings can then be printed off or cut out to form a personal scrapbook. A great way for children to start capturing their own memories. Puppet Show Time. Sacrifice an old flat sheet or blanket and cut a square out to make an old fashioned Punch and Judy-style puppet theatre. Then have a puppet making workshop to make the cast. Cardboard cut outs mounted onto lollipop sticks would work for this, or you could make puppets using old socks decorated with felt scraps, wobbly eyes and wool pieces. The puppets could sing and dance to favourite songs, or more creative children can even write and rehearse their own shows for you and their toys to watch. Have you tried any of these suggestions or have any other great ideas to share? Add your comments below, we’d love to hear from you!